Istanbul SW22 Traditional Swish Ride 22"
SW22 Traditional Swish Ride 22"
The SW20 Traditional Swish Ride 22" from Istanbul Mehmet is based on the shape of a China basin with inverted bell and gets a wide sound range and exotic character through this special construction. The tone at the edge is very washy and trashy, but towards the bell it is increasingly defined with soft ping sound. The SW22 Traditional Swish Ride 22" is completely handcrafted from B20 bronze at Istanbul Mehmet and can be used in every style, especially in Jazz or Heavy Metal. 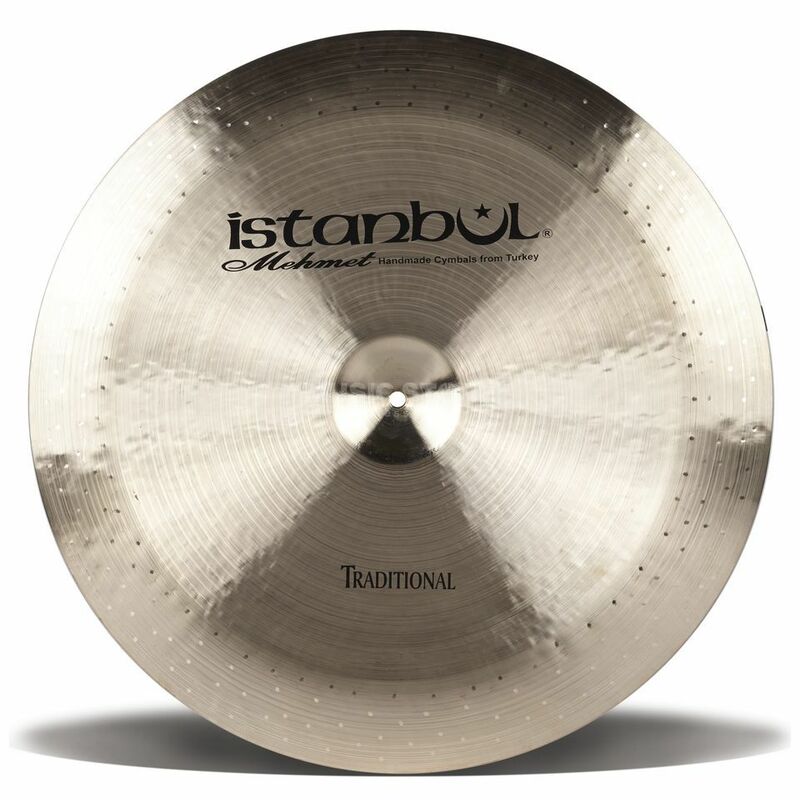 Like all Istanbul Mehmet Cymbals, the Traditional range is 100% handmade in Turkey. Old tradition meets modern and innovative approaches in order to achieve the best results. The classic B20 alloy is used, which is standard in most professional pool series.